Can Your Company Afford to be Cash Only? If you’ve resisted introducing card payments in your business, you might well have your reasons for doing so. Perhaps the set-up cost of a particular system has put you off, or maybe the homemade, nostalgic feel seems attractive. Sadly, there are few people likely to agree with your stance. A new survey by Paymentsense reveals that, while consumers might forgive you for not having card payments set up the minute you open your doors, less than 5 months later, they’ve gone from forgiving to impatient. And that’s a national average; if you’re in Birmingham or Manchester, you’ve got less than 4 months before your customers are less than impressed. Few of us walk round with the amount of cash we used to, and many won’t have any. Gone are the days when public transport users had to make sure they had cash in their pocket when these days, even buses are increasingly taking contactless card payments. I myself haven’t been near an ATM or requested cashback for months. My daughter pays me housekeeping money in cash (as she’s one of those rarities; a self-employed person paid in cash), and this more than covers my cash needs. I also get points on one card and interest on the other when I pay by card—so why would I pay in cash when cards are an option? So how do we, the card-carrying, cash-short public, feel when we rock up to a coffee shop, desperate for a caffeine fix, only to see the words ‘cash only’ in the window? Apparently, pretty miffed. 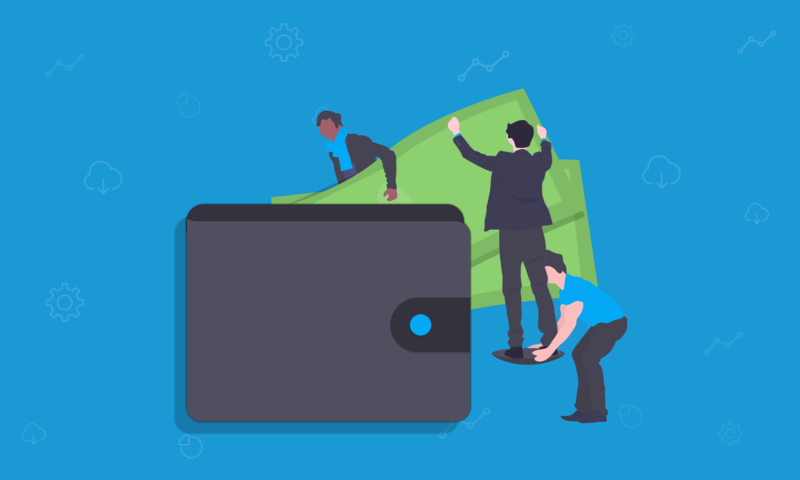 According to Paymentsense’s The Future of Payments report, 53% of us turn around and walk away when we find a business is cash-only—and 30% of us are less likely to return. That’s just a national average, though. In London, 66% would leave without buying anything, and 40% would be less likely to visit again. Of course, your business might be miles from anywhere with little, or any competition. This might mean that customers are restricted on where they can go, but it probably also means that you’re a long way from the nearest cash machine. Expecting customers to make the journey to withdraw cash, and not get distracted by any competitors on the way, is likely to backfire. It’s not unreasonable to think that. But Paymentsense’s research revealed that older people are less likely to give you the benefit of the doubt! Of all the groups, Millennials (25-34 years) were the most forgiving of cash-only businesses, willing to wait 5.1 months for a business to accept card payments. The over 65’s were only prepared to wait for 3.9 months. The survey also showed that patience with cash-only businesses rises, quite surprisingly, with income. Those earning over 100K are prepared to wait nearly half as long again (6.1 months) for a business to take cards as people earning 25-50K are (4.3 months). Is it fear of the unknown that’s making you reluctant to take card payments, or fear of the cost? Either way, a little research should soon ease your concerns. Card readers are increasingly portable and easy to use (many literally just plug in and are ready to go), and some companies will supply the reader for free. Transactions costs may be lower than you expect too. Countertop card machines: best for businesses with a fixed point of sale on a counter. Portable card machines: use Wi-Fi or Bluetooth and let you take payment to customers. They’re handy for cafes, restaurants and bars. Mobile card machines: connect to a mobile network so you can take payment while out and about. They’re great for market traders and those who travel to events. Shop around and see what’s available. You’ll probably go for good service, good prices and convenience, just as your customers will.